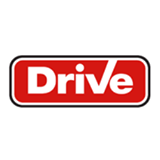 At Drive Vauxhall in North Bristol, we promise the highest industry standards and a hassle-free, great value experience every time. Matt and his team provide the best advice, care & special offers to ensure that maintaining your Vauxhall is as simple as possible.As well as being an award-winning authorised repairer and approved MOT centre, we have Vauxhall-trained technicians, the latest equipment & technology and we'll use genuine Vauxhall parts every time. We'll also do a full Vehicle Health Check for free, so you can be confident that your car is in the best condition whenever you visit us.While your car is getting serviced and repaired, it will also get a free wash & vac. We have longer opening hours, flexible booking times and complimentary tea, coffee & wifi. Let us know if you need a while-you-wait appointment, free local collection & delivery or a hire car to keep you on the road.We look forward to seeing you soon!